Eastern Sierras – Mono Lake, June Lake, etc.. If any of the areas above are of interest to you, please feel free to contact me and let’s discuss what I can do to help your photography improve, both from a technical point of view in the field, as well as the all important post processing of your images after a shoot. I have been fortunate enough to have taken all four workshops with David Grenier. Each location is uniquely different which allows you to work on different photography skills. David is a patient teacher. He has been to these locations many times therefore he understands the optimum conditions for each. David varies his instruction depending on the customer’s desire. He can give you setup and composition recommendations or simply take you to the locations. I have learned much from David and am a much better photographer from taking his workshops. 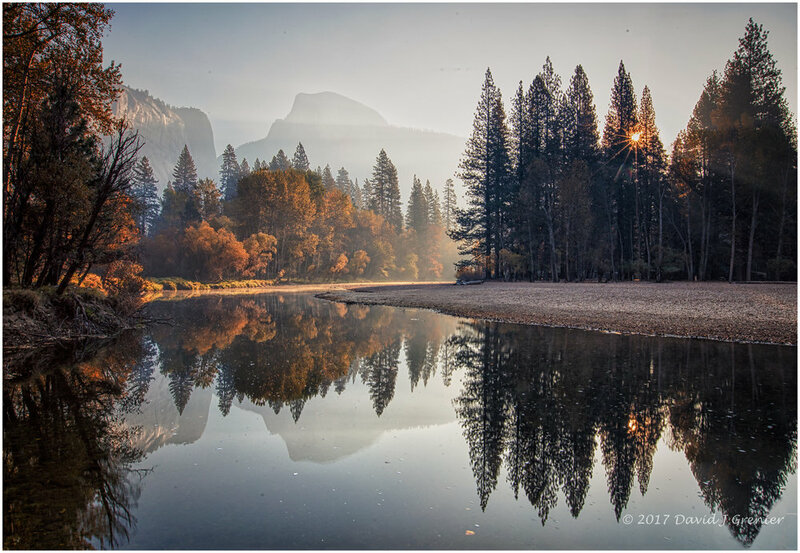 In March I attended a 4-day landscape photography workshop in Yosemite National Park, led by David Grenier. It was outstanding. David knew Yosemite like the palm of his hand. He knew exactly the special locations to get the best landscape views at different times of the day and night. His expertise and coaching in composition and exposure settings were invaluable. In addition to being an accomplished photographer, he enjoys sharing his passion with his workshop participants. He is patient, flexible and attentive to his participants. I learned so much from David during these 4 days, including how to photograph star trails. The workshop far exceeded my expectations. I’d love to join David on future workshops. I have attended workshops with some of the most famous photographers in the world, and David’s workshop in Yosemite was the most personalized I have ever taken. He made a serious effort to provide a personal, attentive experience by giving us an opportunity to voice our interests. He also worked very hard to identify weakness and help in any way he could. David spent the workshop helping us be better photographers and taking us to less known areas where we might get unique and creative shots. David is brilliant, warm and charming and taking a class with him was a peak experience. Please contact me to purchase prints of any of the images on this site, with sizes and prices as shown below – thank you for your interest. I am happy to consider printing sizes not shown above, as well as include matting of your choice on a special request basis. I can also print on canvas and metal. Please contact me to discuss your requirements and I will provide you a quote that will meet all your specifications and requirements before proceeding with your written approval.